Making the Most of our Last Day – Watts up, world? Today was our final day in Poland. Our day started by traveling to the Podgórze Ghetto under the guidance of Gosia, our guide from earlier in the week. The ghetto was where many Jewish families were forced to live at the beginning of the war. The area was small and confined by walls, with only two pieces of the wall still remaining. 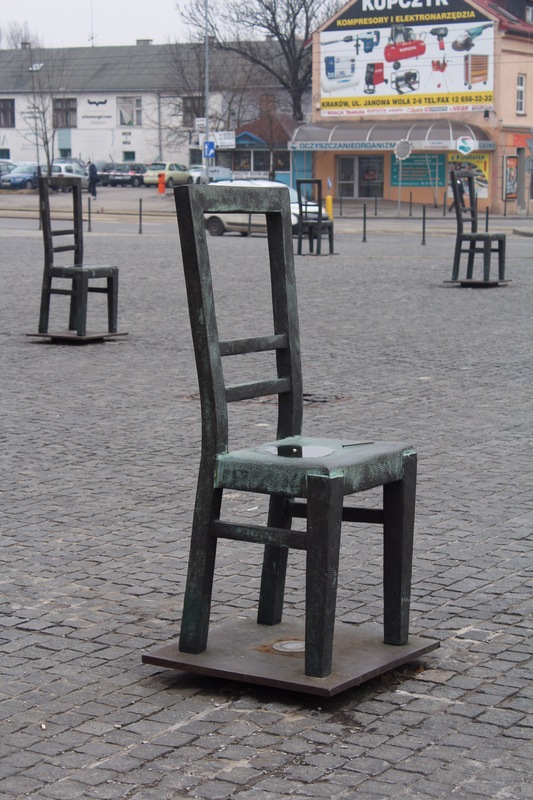 The ghetto now has a memorial consisting of large chairs, thought to be left to the interpretation of the viewer by the British designers. We then went to the Schindler Factory Museum, which was possibly the most intricate museum I have ever visited. Instead of focusing on Schindler and his Factory, the museum focuses on the war as a whole, and how it affected the Jewish community in that particular neighborhood. Unfortunately, due to a shortage of time, we were not able to completely tour the museum. 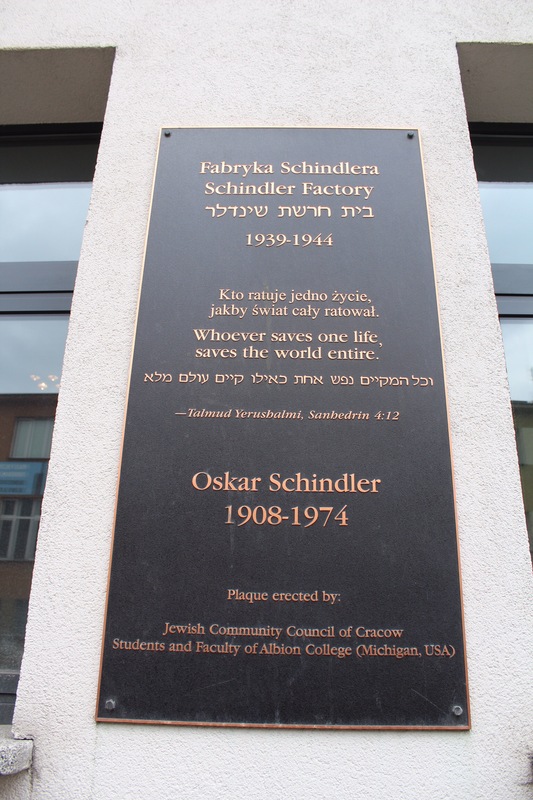 However, I believe that if you enjoy museums, the Schindler Factory Museum is an absolute must. Each room is designed to not only inform you, but to make you feel something, and it is extremely effective. We had one more synagogue we were supposed to visit on Sunday, but we had run out of time so we went today. Tempel Synagogue is a more elaborate synagogue, being the product of more liberal Jews. Our afternoon took us to the Galicia Museum, which can best be described as a photojournalism museum for the war. 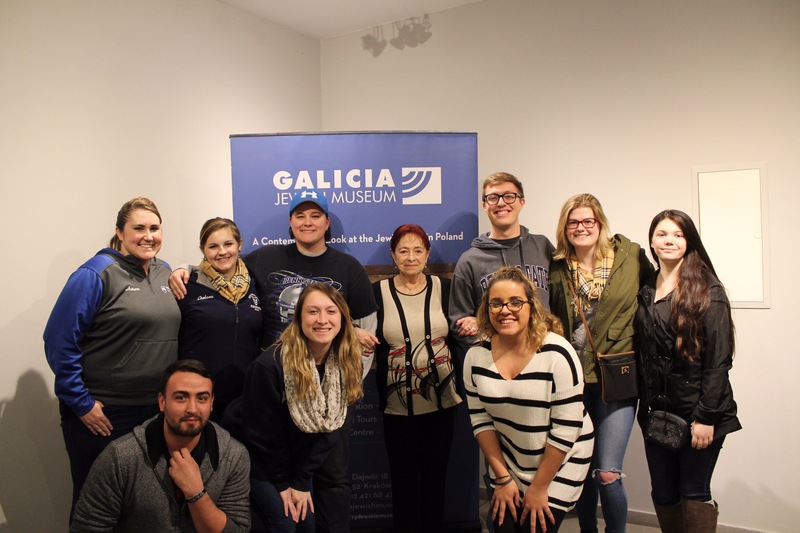 After a quick tour and a coffee break, we had the opportunity to listen to the life story of Rema Stern, who was born in the Kazimierz Ghetto. She told us of the life she endured as a young child whose father worked for Oskar Schindler and whose mother worked odd jobs to pay for her daughter to stay with another couple for safety. We ended our trip in the most incredible way possible. We took part in a traditional Shabbat dinner at the Jewish Community Center. We clapped along with the rabbi as he sang, since none of us know any Hebrew or Yiddish. The rabbi turned out to be from Long Island, living in Israel, and serving in Kraków. Without even knowing anyone else at the dinner, it was such an amazing experience, being welcomed immediately and being invited into their religious ceremony. 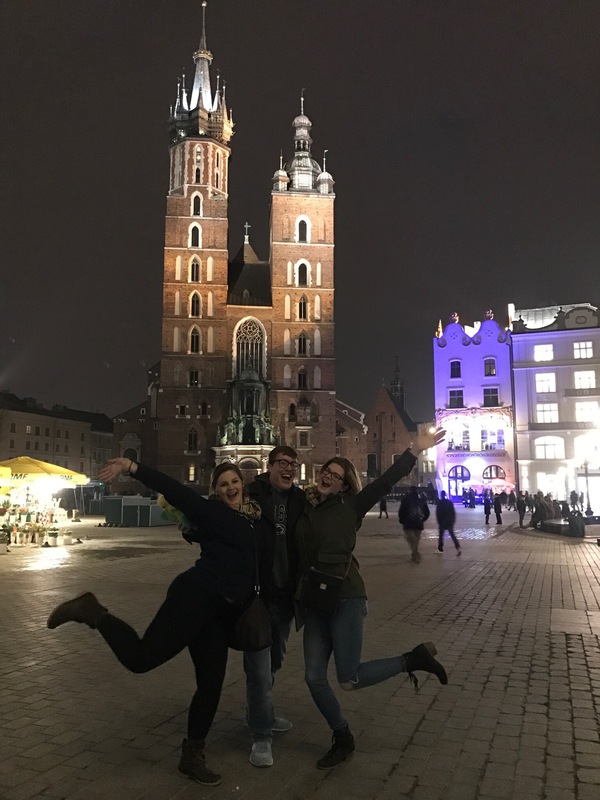 We took our last night to walk around the Old Market Square, buying last minute souvenirs, taking funny photos, and enjoying one another’s company during our final night in this beautiful city. In a few hours, we start the long trek home, but the stress of travel for me is relieved slightly knowing that there’s sausage rolls and message chairs waiting for me during our Amsterdam layover. Dobranoc, Kraków.